CALGARY, Feb. 11, 2019 /CNW/ – Westleaf Inc. (TSX-V: WL) (“Westleaf“), is pleased to announce the opening of a Prairie Records cannabis retail operation in Warman, Saskatchewan and that the company has secured an option agreement (the “Option“) to acquire an additional cannabis retail store location in Swift Current. The Option is conditional on provincial regulatory approval of the permit application and the transactions contemplated by the Option. The Swift Current location is expected to be operated under the Prairie Records brand. 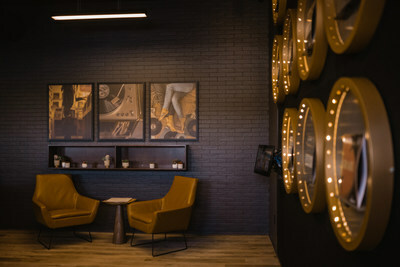 Prairie Records is a unique retail experience that celebrates the instinctual relationship of music and cannabis and surrounds the customer with the aesthetic of shopping in a vintage vinyl shop. The Prairie Records store is now open, centrally located in the town of Warman, just north of Saskatoon. The 3,200-square-foot location includes a retail storefront and warehouse space for an e-commerce fulfillment centre to serve the entire Saskatchewan market. Westleaf now has the option to purchase three additional retail stores in Saskatchewan, two in Saskatoon, and one in Swift Current. All options are conditional on provincial regulatory approval. “Prairie Records is going to stand out from our competitors as something distinct and will provide the customer with a unique and engaging cannabis retail experience,” said Adam Coates, Chief Commercial Officer with Westleaf. 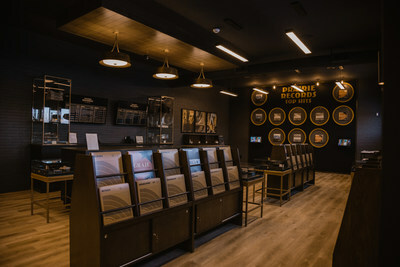 “From the moment you walk through the door the customer will be greeted by a differentiated and inviting approach to cannabis retail.” Coates noted that shopping at a Prairie Records store will invoke the feeling of a retro-record shop, complete with music paraphernalia, curated play lists, and product information being presented on album covers. “The opening of this Prairie Records location in Saskatchewan represents a significant milestone for Westleaf” said Scott Hurd, President and CEO of Westleaf. “As a vertically integrated cannabis company we are steadfast in our commitment to execute on our plans to have assets across the cannabis value chain. Combined with the cultivation facility under construction near Battleford, Saskatchewan and the extraction, R&D and production centre under construction in Calgary, Alberta, our strategy is rolling out as planned.” Hurd added. The Warman location is the first Prairie Records store in Saskatchewan and will be followed by two locations in Saskatoon and one location in Swift Current, subject to Westleaf exercising its option to purchase agreements. 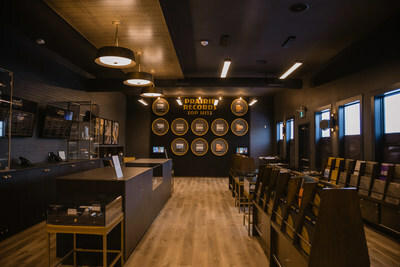 Customers can expect superior customer service at Prairie Records, staff have undergone extensive training to ensure they can meet the diverse needs of every consumer who walks through the door while providing a safe, inclusive environment rooted in cannabis education. Prairie Records’ Warman location is located at 100 2nd Ave North and is open Sunday to Thursday from 10 a.m. to 10 p.m. and Friday and Saturday from 10 a.m. to 12 a.m. For more information on Prairie Records, visit prairierecords.ca. Focusing exclusively on densely populated neighborhoods, high traffic areas, and tourist destinations, Prairie Records retail stores will be situated in some of the most premium retail locations across the country. 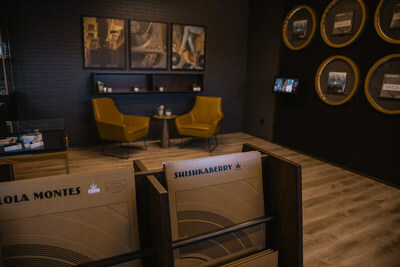 The foundation of the retail concept is ingrained with a desire to create a unique cannabis purchasing experience through tactile in-store features and product offerings that celebrate the relationship between music and cannabis. Featuring a rollout of upwards of 50 retail locations in markets across Western Canada. Westleaf continues to be committed to becoming a leader in the cannabis retail market in Canada. Westleaf is a vertically integrated cannabis company focused on innovative retail experiences and engaging cannabis brands as well as cultivation, production and extraction of cannabis products. Westleaf is rolling out a national retail footprint for its retail concept Prairie Records, with stores planned for British Columbia, Alberta, Saskatchewan and potentially Ontario. The Company also has two significant production facilities under construction and scheduled for completion in 2019. For more information, please visit www.westleaf.com or www.prairierecords.ca. This news release contains “forward-looking information” and “forward-looking statements” (collectively, “forward-looking statements”) within the meaning of the applicable Canadian securities legislation. All statements, other than statements of historical fact, are forward-looking statements and are based on expectations, estimates and projections as at the date of this news release. Any statement that involves discussions with respect to predictions, expectations, beliefs, plans, projections, objectives, assumptions, future events or performance (often but not always using phrases such as “expects”, or “does not expect”, “is expected”, “anticipates” or “does not anticipate”, “plans”, “budget”, “scheduled”, “forecasts”, “estimates”, “believes” or “intends” or variations of such words and phrases or stating that certain actions, events or results “may” or “could”, “would”, “might” or “will” be taken to occur or be achieved) are not statements of historical fact and may be forward-looking statements. This news release, forward-looking statements relate, among other things, to: (i) regulatory approval of the permit application and the transaction contemplated by the Option Agreement; (ii) the number of prospective Westleaf retail cannabis locations in Saskatchewan; the result and impact of the exercise of the Option, if ever, on Westleaf and its business; (iii) the Saskatchewan cannabis market and Westleaf’s ability to participate therein; (iv) the number of Westleaf retail locations across Canada and the jurisdiction in which it expects to have retail locations; (v) the completion of Westleaf’s facilities, including the timing thereof; and (vi) the business and operations of Westleaf. Forward-looking statements are necessarily based upon a number of estimates and assumptions that, while considered reasonable, are subject to known and unknown risks, uncertainties, and other factors which may cause the actual results and future events to differ materially from those expressed or implied by such forward-looking statements. Such factors include, but are not limited to: general business, economic, competitive, political and social uncertainties; and the delay or failure to receive board, shareholder, court or regulatory approvals. There can be no assurance that such statements will prove to be accurate, as actual results and future events could differ materially from those anticipated in such statements. Accordingly, readers should not place undue reliance on the forward-looking statements and information contained in this news release. Except as required by law, Westleaf assume no obligation to update the forward-looking statements of beliefs, opinions, projections, or other factors, should they change, except as required by law. Plus Products, through its wholly-owned subsidiary, Carberry, operates as a branded cannabis products manufacturer with operations in California.